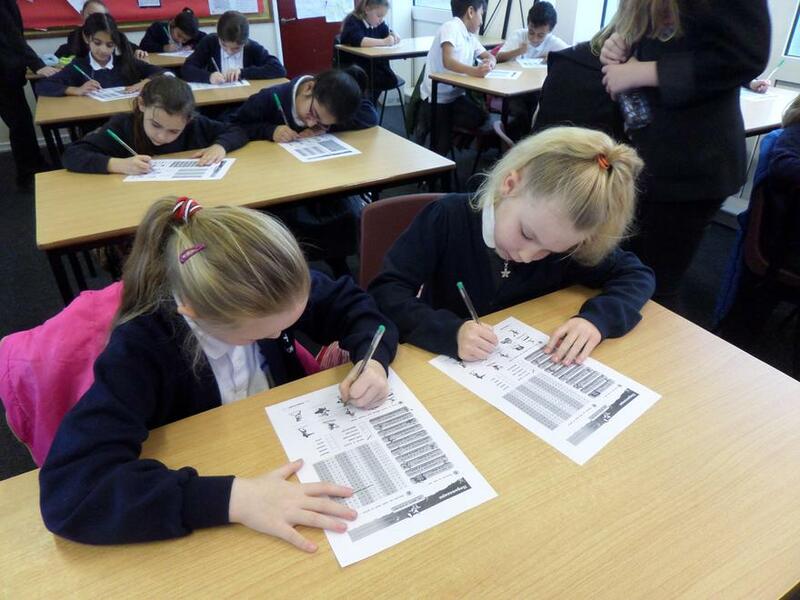 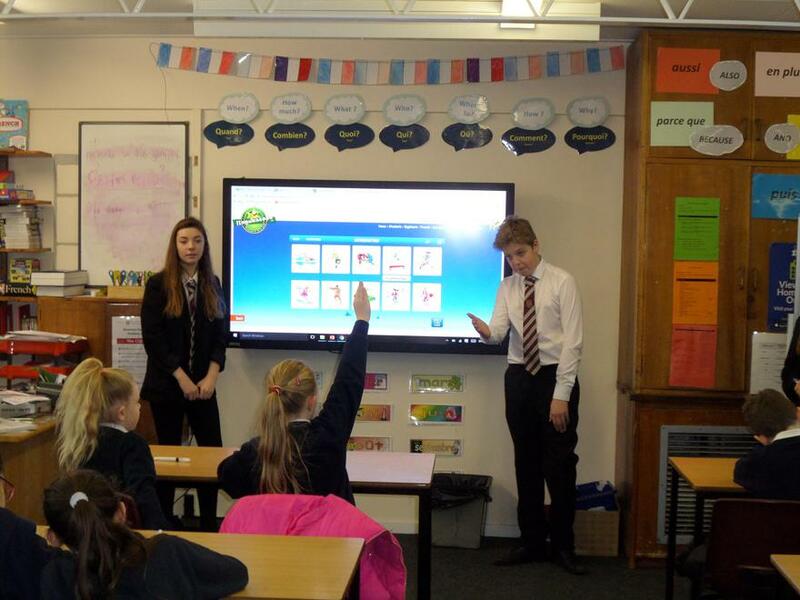 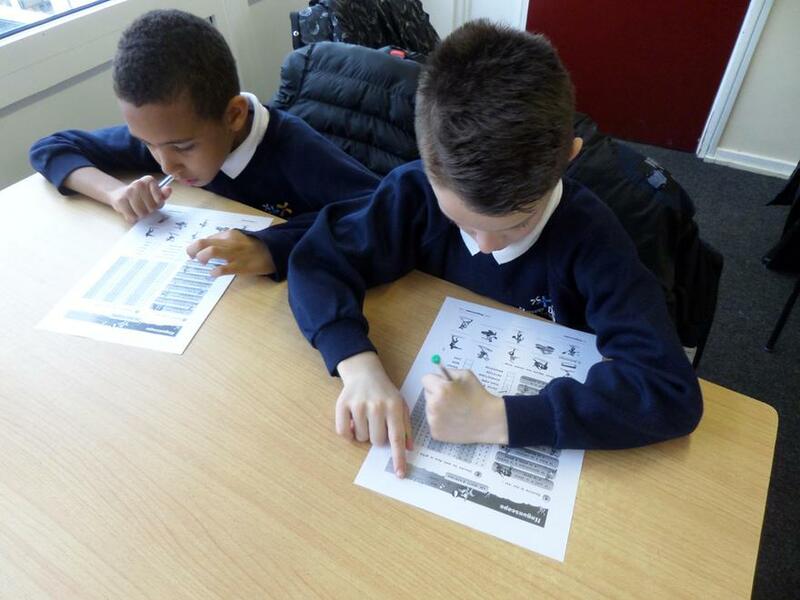 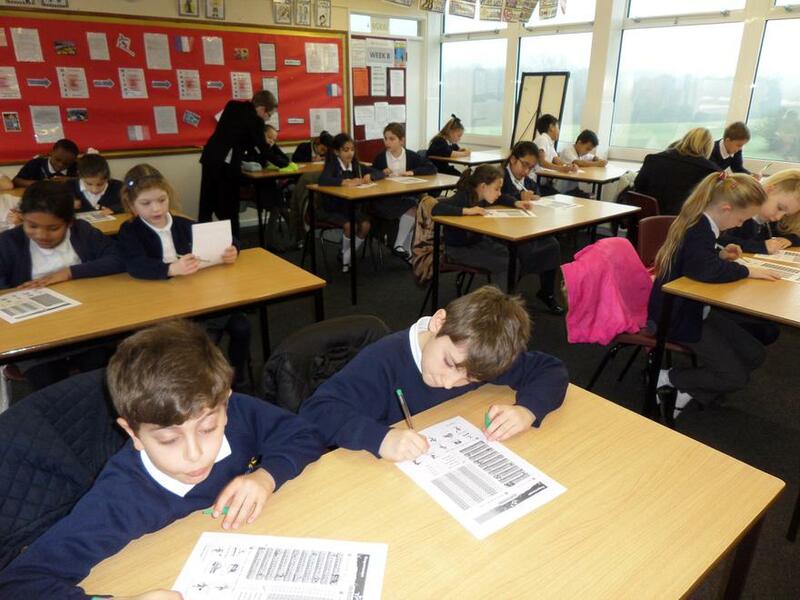 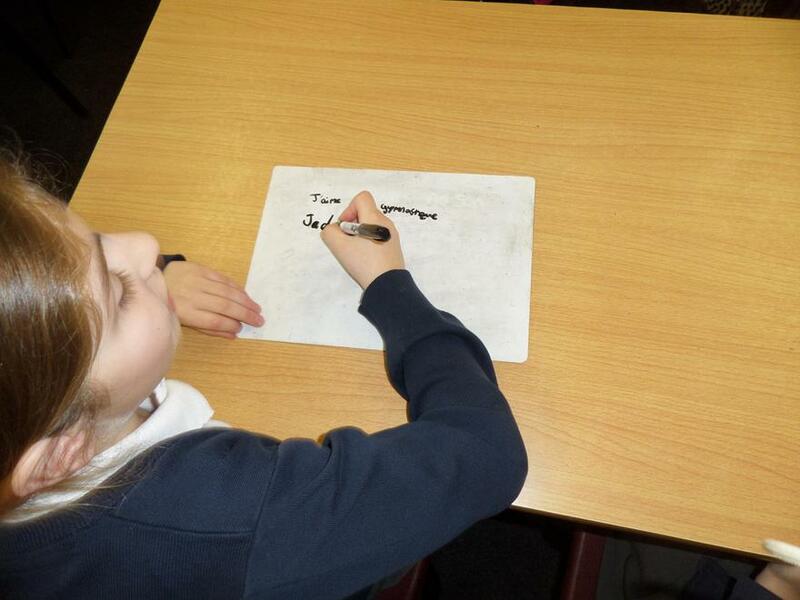 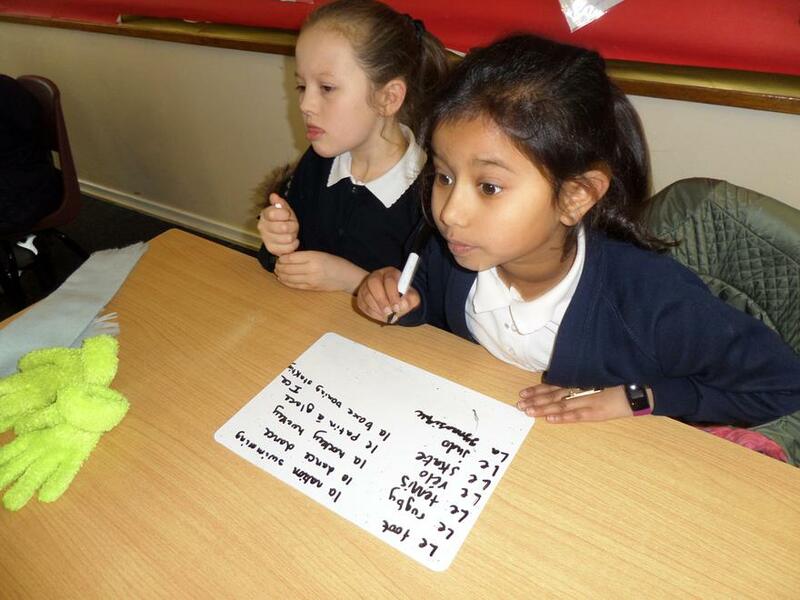 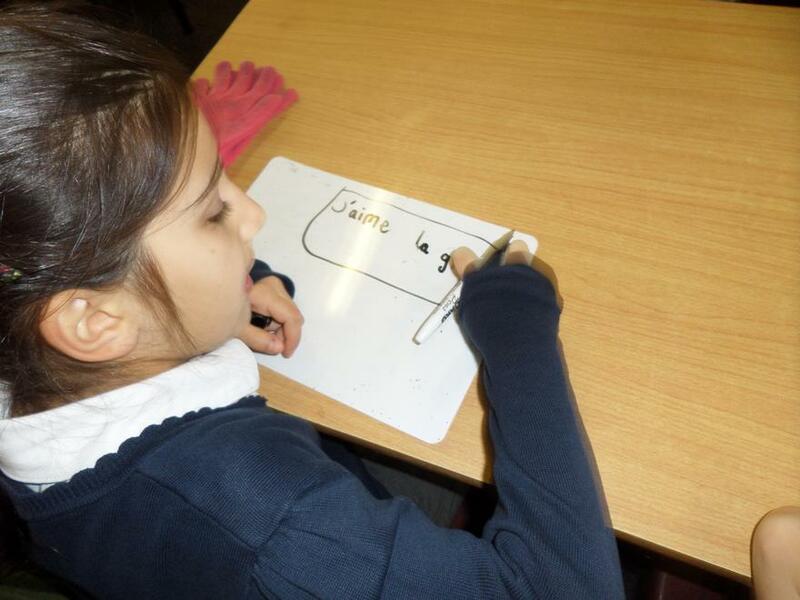 On Friday 10th February, Year 4-1 went to Onslow to experience a French lesson hosted by the pupils. 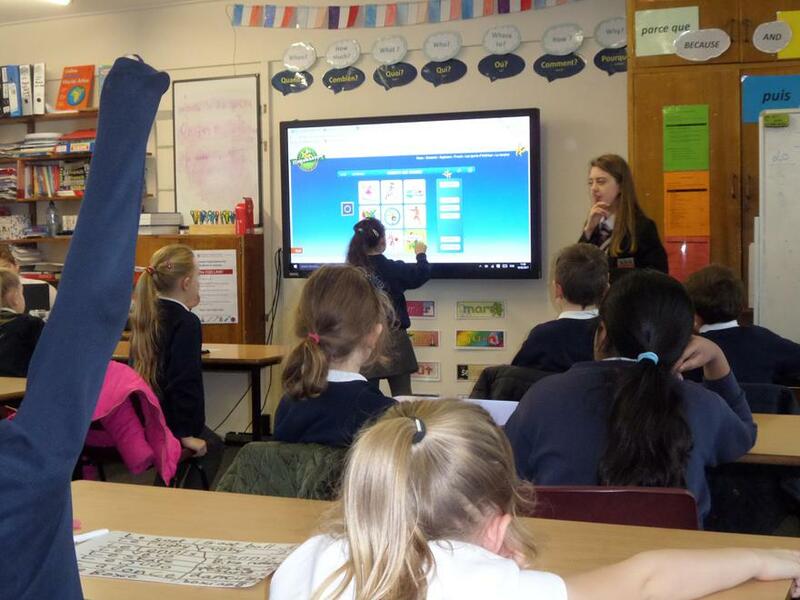 We had great fun playing a range of interactive games. 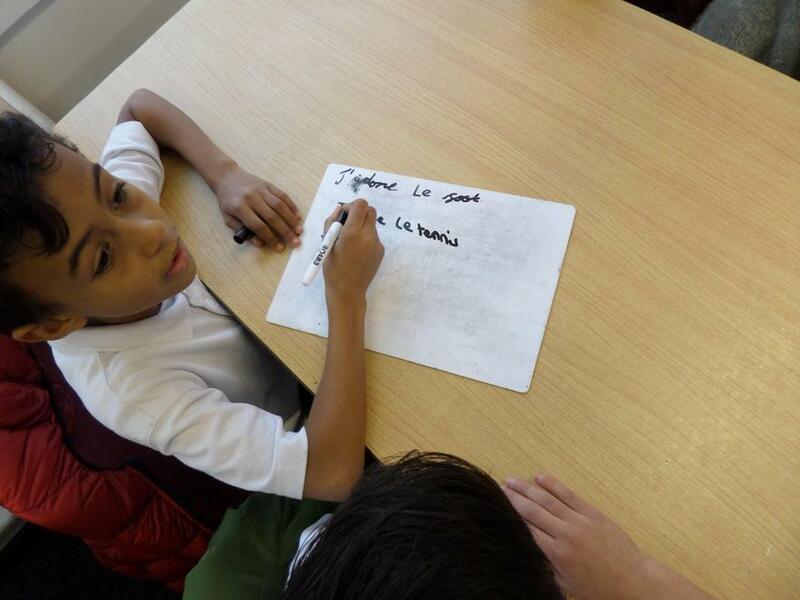 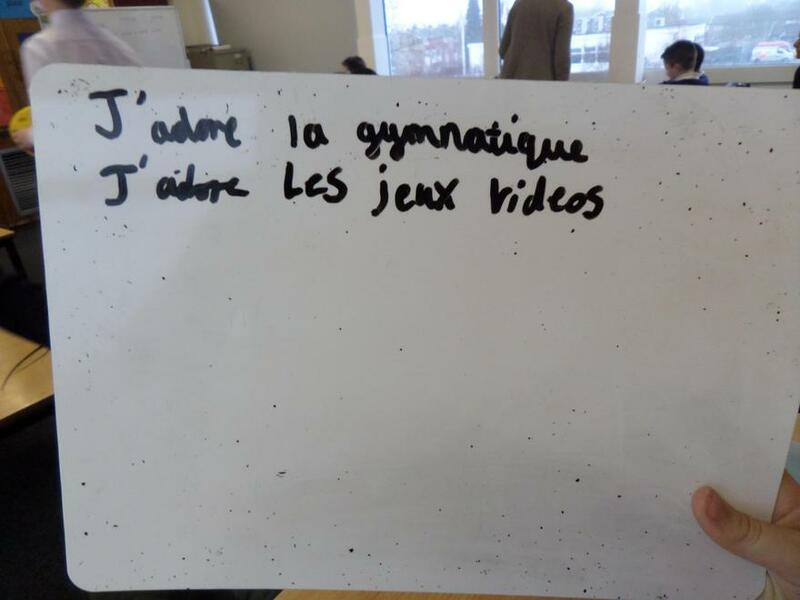 We learnt the French words for a variety of different sports and wrote sentences saying if we liked, loved or disliked a sport. 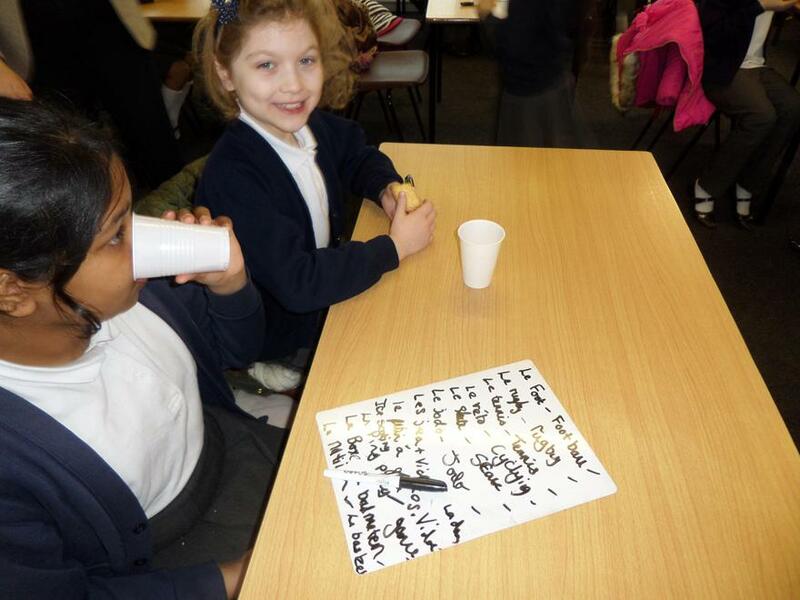 The juice and biscuits was an added treat! 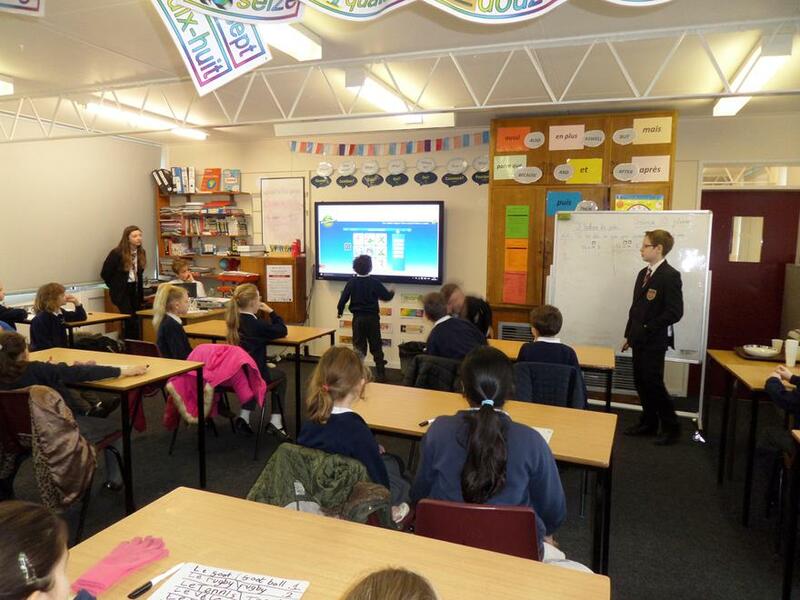 Year 5-1 having fun using the NEW games and books box. 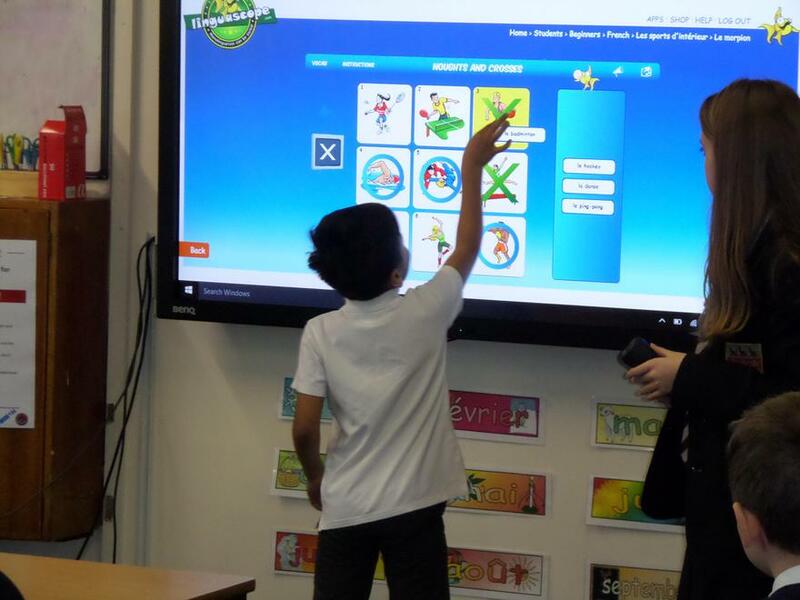 This initiative was introduced earlier this year to extend the curriculum and increase enthusiasm for learning a language. 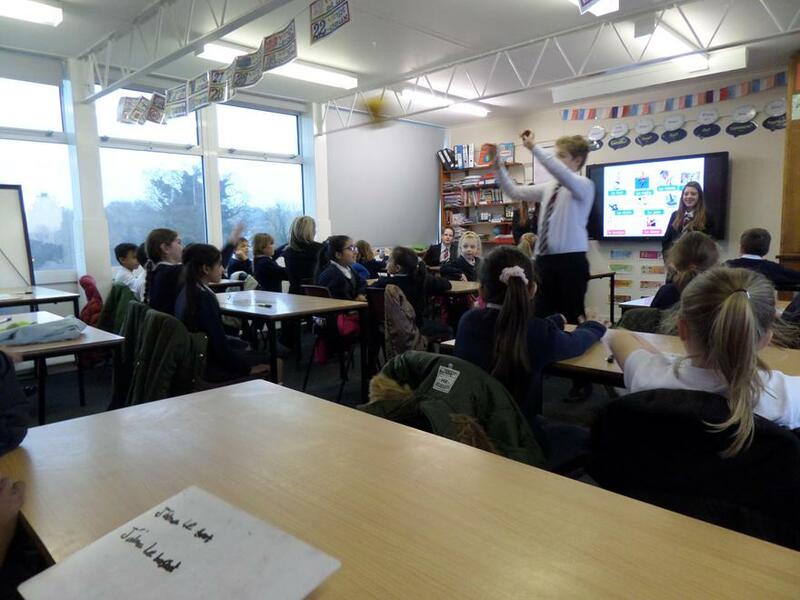 Year 4 are enjoying learning French through songs. 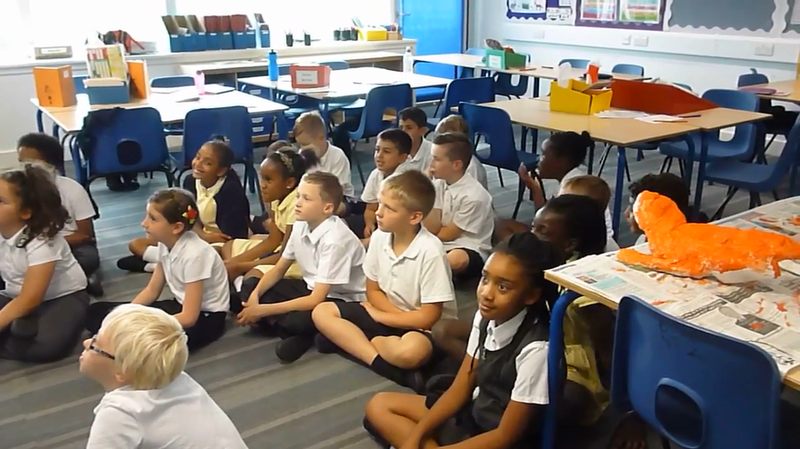 We got to dress up!